This app looks very useful. I want to use it in an android based multi media player which has ethernet connection and of course connects to Internet using this interface but also to the corp lan. We want to use it as background music in the phone system but need to remotely administer it so, this application becomes useful if it would support the ethernet interface. It does support the Ethernet interface as long as your build of Android supports it properly enough that you can browse, install market applications and receive push notifications. If you can do that, then this should work, if it does not check that there is not some sort of port based filter or something blocking access to the device over your corporate network. 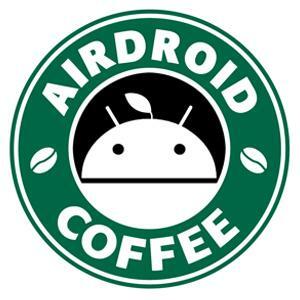 I've used AirDroid on Android-x86 with an Ethernet Interface and it worked fine. I wish it were so, but in my case it refuses to start the service without wifi being connected. My tv box wont allow wifi and ethernet to be connected at the same time. My Android BOX is connected through Ethernet and shockingly Airdroid would not work except through WIFI! Sorry that AirDroid now doesn't support devices connected to Ethernet. We've collected your feature request and will consider it.